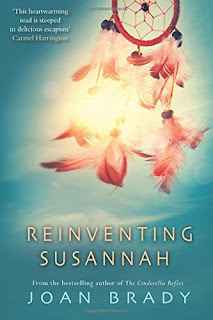 BleachHouseLibrary.ie: Book Review - Reinventing Susannah by Joan Brady. Book Review - Reinventing Susannah by Joan Brady. Susannah is atypical of many 'women of a certain age' (a phrase I personally hate, but it serves a purpose in this case). She has devoted the latter part of her life to raising a family and ensuring the smooth running of the household. Rob, a banker, has always supported his wife and twin daughters but now feels he has missed out on something and has secretly been planning his escape for years. Downtrodden Susannah is pushed into moving on and (conveniently) lands a job as a newspaper columnist. Suddenly she is flying first class to cover a Mind, Body and Soul conference in London and being wooed (badly) by a famous self-help guru. A whole new set of opportunities are opening up when she least expected them. Her love of writing comes back to her and she even begins to notice men 'of a certain age' (why do we never hear this phrase when referring to men?). Joan Brady has a knack of bringing her characters to life. Susannah may be a little mousy, but she is balanced by her new boss (the young and determined Katie) and despite their differences, the two women work well together. Rob is a piece of work. Within two pages he shows his true colours and you can see how Susannah managed to blend into the background of their marriage. I suspect there are many, many women who find themselves stunned with their situations when their children move out. Not all of them will land their dream jobs so easily, or find themselves moving on without financial strain. But, perhaps fictional stories like Susannah's will inspire some to take a chance. Brady uses her writing skills to bring a mature lady to life. 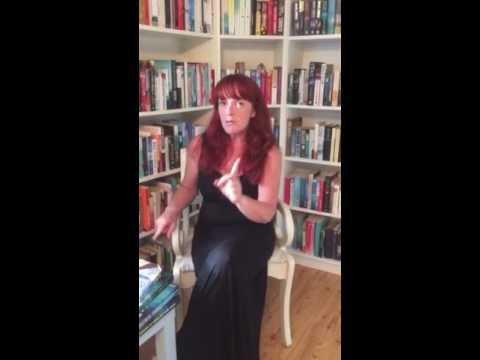 Reinventing Susannah is a warm, charming and easy read, ideal for enjoying on a summer holiday or on the patio with a glass of whatever tickles your fancy. Especially if your children have left you with no more 'Mom's Taxi' duties. A feel-good read, ideal for fans of Cathy Kelly and Carmel Harrington.